Image first uploaded on 28 April 2014 and published in the entry May 2014 – Autumn. Yet another bird enjoying our apples. 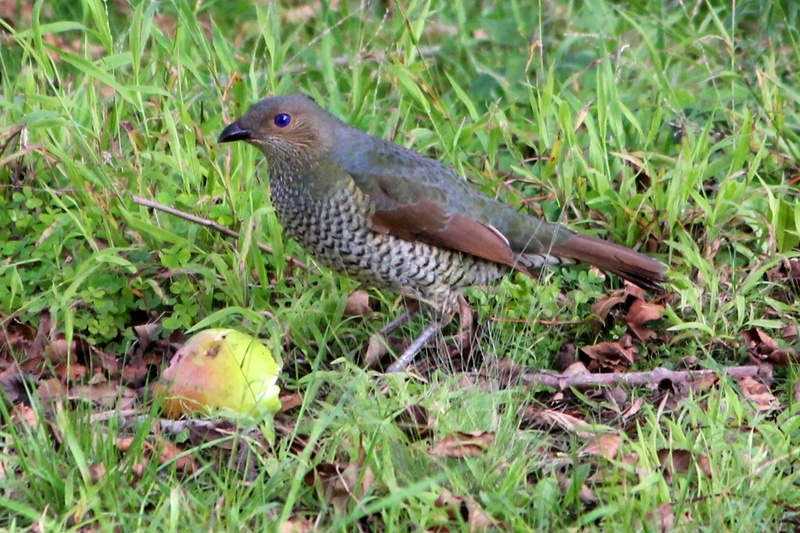 I’m used to seeing this female Satin Bowerbird around our garden, but this is the first time I’ve seen her eating an apple. She had to fight off some Indian Mynas to get to it. Return to the entry: May 2014 – Autumn.